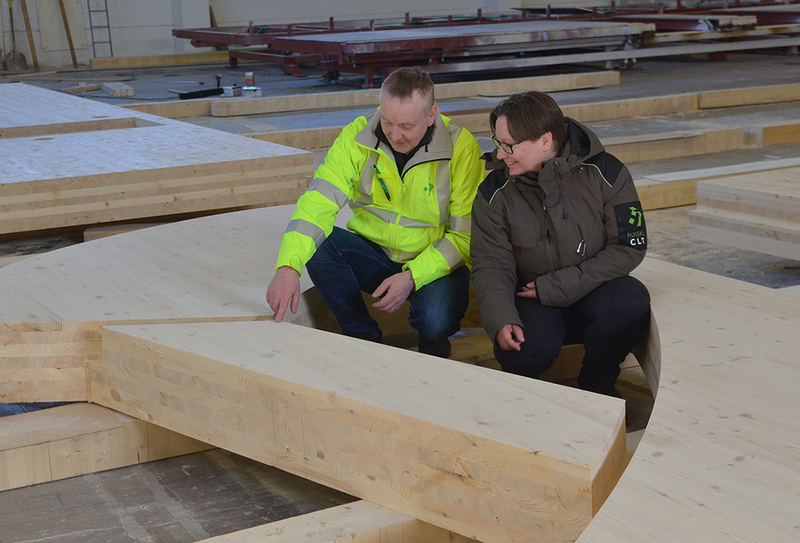 The original article in Finnish: Rakennamme.fi 29.3.
is a complete design of a future school made of HOISKO CLT, envisioned by the users to maximize healthy, comfortable and versatile use of space. Building with cross laminated timber (CLT) is simple and cost-efficient as the material enables nearly limitless design. Demographics change and the public building utilization rates are playing increasingly significant role, says Mr. Jukka Peltokangas from CLT Finland Oy. – That is why we engaged a group of users and decision-makers for ultimate envisioning of a future multi-use public space. – We have now the opportunity to chance the concept of construction. Bringing multiple viewpoints together in the planning process before a single line has been drawn results significant savings and the disappearance on separated contracts. The overall scale planning focuses on collective needs, Peltokangas reminds. Solid wood is a familiar and safe material, enabling advanced smart home integrations. It satisfies the upgraded construction regulations. Using Finnish spruce and pine wood locally effects positively on local economy as well as on the highly respected Finnish forestry. Thorough planning ensures cost-efficient, functional, variable and comfortable spaces that are also easily maintainable. Contacts: maarit.liikala(at)hoisko.fi, tel. +358 50 594 8038.